With Thanksgiving just two days away, there is a lot to do. My plans include cooking, baking, and cleaning. I have always liked the Thanksgiving holiday. To be with family and friends, to pause in gratitude for God’s abundant blessings. It’s a good day. Often, the Advent season begins the Sunday right after Thanksgiving. We have just a couple of days to transition from pumpkins and fall hues to our Advent wreath of purple and pink. This year, however, Advent doesn’t officially begin until December 3. So, my friend, we have a bit more time. Time to prayerfully consider how we want to enter into the four weeks of Advent, leading up to the celebration of Christ’s birth on Christmas. How do we want to pray? How do we want to remember? How do we want to celebrate? —The Advent wreath is a central part of our season. 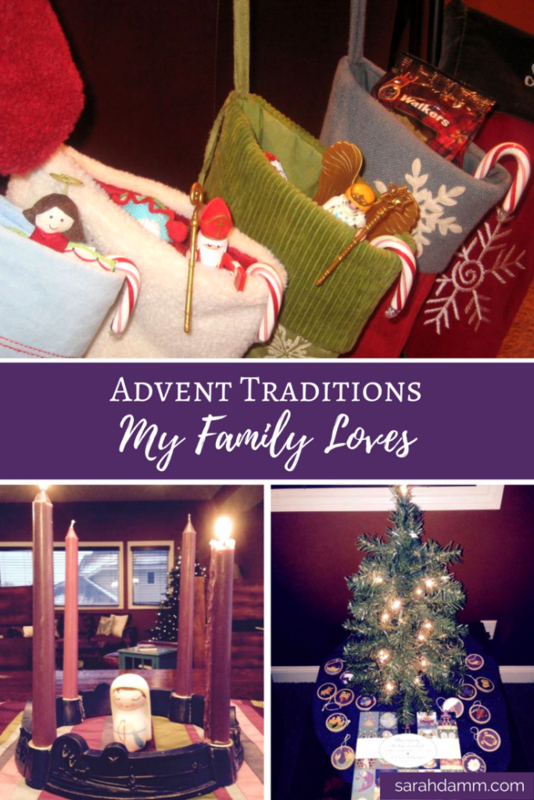 I like the idea of my children making the connection between home and church, with Advent wreaths prominently set up in both places. We place ours on the kitchen table and light it during dinner. We light it during our family Rosary on Sunday evenings, too. Sometimes we say extra prayers from a few family devotionals we have, but often we simply enjoy the flickering light as the days get darker so much earlier in winter. “The light shines in the darkness, and the darkness has not overcome it.” (John 1:5) One year, we had quite the adventure with our Advent wreath, and I learned some important lessons along the way. —There are several Advent feast days, and I wish our family could celebrate all of them, but that is a bit unrealistic for us. We have chosen to celebrate two feast days in a special way during Advent: St. Nicholas on Dec. 6 and St. Lucia on Dec. 13. We celebrate these days in our family to keep this Advent season focused on the Lord and the beautiful and fun ways we can prepare for His coming. At our house, we have designated St. Nicholas Day as stocking day. This is the day that the kids receive their stockings filled with chocolate coins, candy canes, and a few small gifts. It allows us to take time to remember who St. Nicholas was, and how this popular saint became Santa Claus, without focusing too much on the secular Santa. The Feast of St. Lucia is one of my daughter’s name-day. She has loved this day and the saint we celebrate ever since she could grasp its specialness. We have cinnamon rolls for breakfast and read a favorite book about St. Lucy. Since her birthday is in the summer, she usually brings treats into school on this day. But seven years ago, a big event took over her special day: Her baby brother was born, our family’s very own “star boy.” Thankfully, her good nature allowed her to make room in her heart to share this day with her brother. And now, we celebrate St. Lucia Day in the morning and a birthday in the evening. —Every Advent, we set up a small Evergreen tree and hang an ornament on it each night. This tree is called the Jesse Tree, and each ornament represents a significant moment in Salvation History that traces Jesus’ lineage all the way back to the creation of the world. With each ornament, we read corresponding Scriptures or a reflection out of this book. As the stories unfold, we see this golden thread tying them altogether. And that thread is God. The Jesse Tree reminds us of God’s immense love and faithfulness. We see how He writes straight with crooked lines and brings so much good out of even the messiest of situations. And we recognize that this story of salvation is our story, too. —Books are a big part of Advent for our family. We have collected many books over the years, and we have quite the collection of seasonal favorites. In years’ past, I have used them as a Christmas countdown. I wrap the books in simple craft paper and number them according to how many Advent days we have. Then, each night, the kids unwrap a book that we read together. Other years, I have simply placed the books in a basket near the Christmas tree, to encourage cozy reading time together. One of my very favorite books that we have read is Destination Bethlehem by Sharon Altman and Christine Winkelman. It consists of 24 chapters, one for each night between Dec. 1-24. It is the story of two boys, Isaac and Jediah, as they travel through Ancient Palestine. As the story unfolds, they find themselves at the heart of the Nativity Story and gradually realize the birth of the Messiah is at hand. Each chapter ends with a cliff-hanger and builds anticipation for reading the following one. With Advent right around the corner, I know there are some of us who are feeling a bit overwhelmed before the season begins. We want to enter it fully and prayerfully, but that is coupled with a to-do list that grows longer each day. As women, as moms, it is important for us to be realistic when making Advent plans. What we can do will depend on what stage of life we are in. Prayerfully consider what activities could easily be incorporated into your family’s life. I think picking one or two things and doing them consistently is way more meaningful than doing a bunch of things haphazardly. Most importantly, I encourage you not to compare what you are doing with what other women are doing. As you make plans, offer them to the Lord, as a special gift for His birthday. Trust that He will bless your efforts and that He will use your traditions to move in the minds and hearts of your family members. What are some of your family’s favorite Advent traditions? Last Advent, I offered a FREE Advent prayer journal to my email subscribers. I would be honored if you subscribed to my newsletter. I promise that I do not send out many emails. And as a thank you, I will send you the Advent journal. How does that sound? 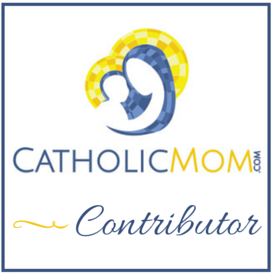 This post is part of the Catholic Women Bloggers Network’s monthly blog hop. For more information, please click here. I’m so glad someone else does stockings too!! I find the shoe filling on St. Nick’s is predominant, but I grew up with stockings, so we do stockings! I love the idea of the Destination Bethlehem book. My kids are very into chapter books now, and it would be nice to have one specifically for Advent. Stockings were my favorite part of Christmas, growing up, and my husband’s family did stockings on St. Nick’s Day … So, we combined the two for our own family’s tradition. Let me know if you read “Destination Bethlehem” this Advent. It is one of my family’s favorites. I love the book idea! I’d love to do that as our family grows. 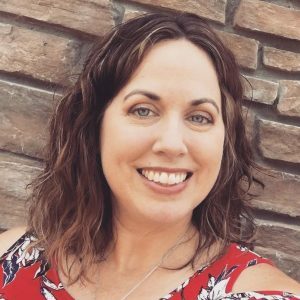 My husband and I are big readers and we want to encourage that in our children, and it is an awesome way to spend time together as a family. Thank you, Sarah, for the gorgeous Advent Journal you so generously shared via email today. It will be just what I need this Advent. May you and your family enjoy the peace of Our Lord this year and always. Hi Audrey! I am so glad you received the Advent journal and that you will be praying with it this Advent. Please keep me posted on your Advent journey. Wishing you a happy and hopeful Advent season!